Kara's Party Ideas | Kids Birthday Party Themes: Train Birthday Party- Dessert Station! 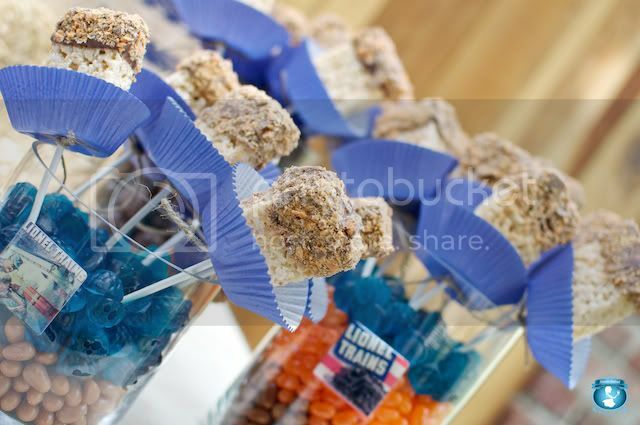 Kara's Party Ideas | Kids Birthday Party Themes: Train Birthday Party- Dessert Station! 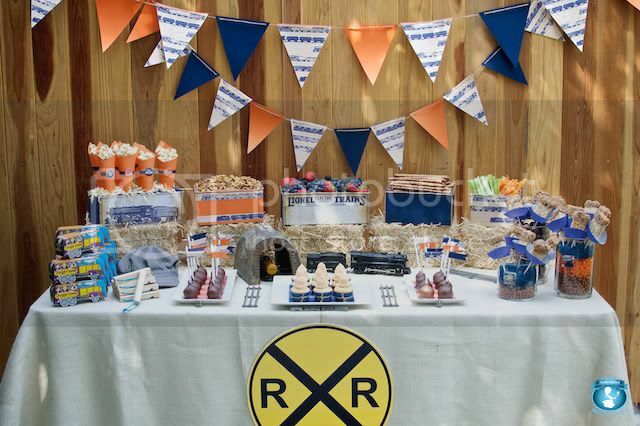 Train Birthday Party- Dessert Station! 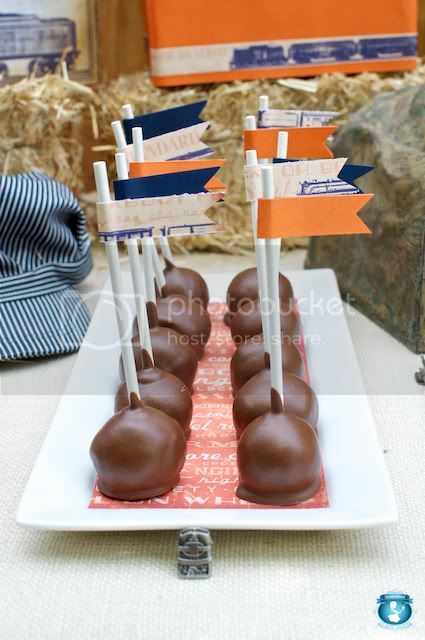 And what a fun dessert buffet! 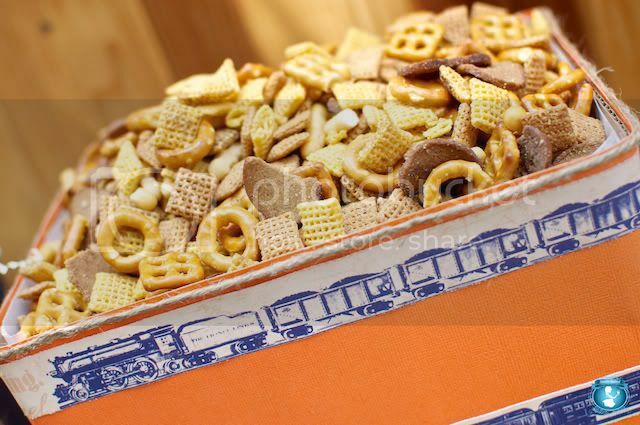 I love the vintage box car food boxes. 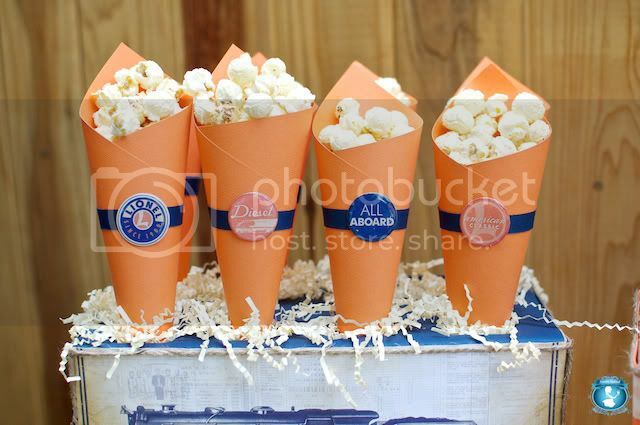 And look at the adorable cupcakes, tags, banner, whistle favors and more! Sweet's Indeed did such a great job at putting this party together. beautiful! 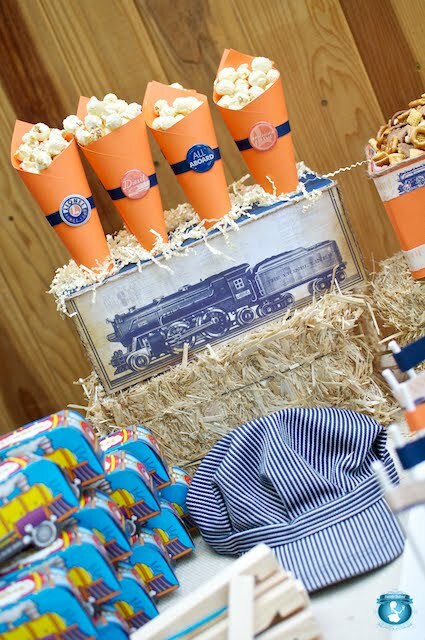 I did a Thomas the train themed party for my son when he turned 2 and blogged about it but it is not even close to this level or 'themed party'!! STUNNING! 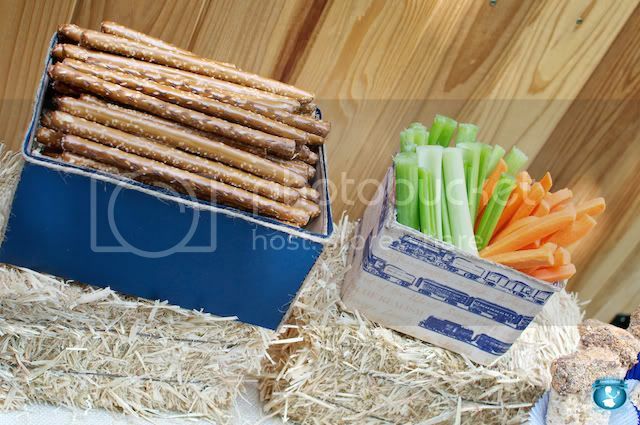 I love the twine and hay bales! Very unique. 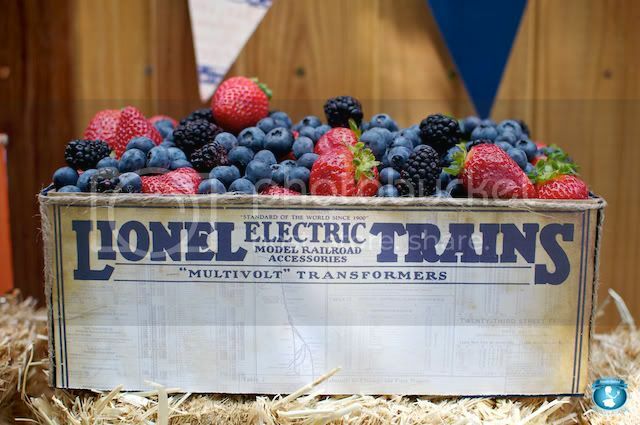 And I want to eat the entire fruit train car! It looks so good. AMAZING!!! The box car food box idea is just adorable...I LOVE it! The hay bales add such a great touch and the banner is great! Wow!!! This party is so cute! 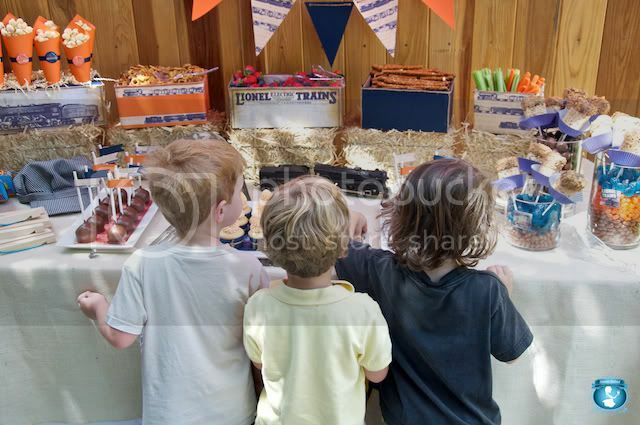 Thank you so much for showing party ideas for BOYS! I have two little boys, and get a little sick of only seeing girly ideas on many of the blogs I read. We have been following your blog for months. 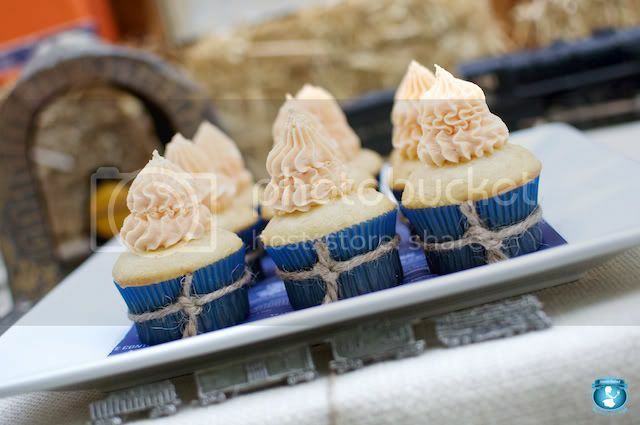 We were so excited to see our train dessert station as your featured post. What an honor! Thank you! Wow... this is superb! LOVE IT! 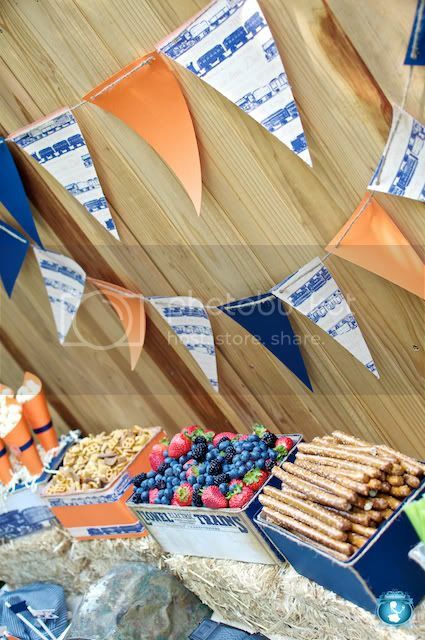 What a fun treat table! Great ideas! So cute and so beautiful! I´ll do a cars party tomorrow! I´m from Brazil and want to show my job for you! I´ll stay so, so happy with your visit! 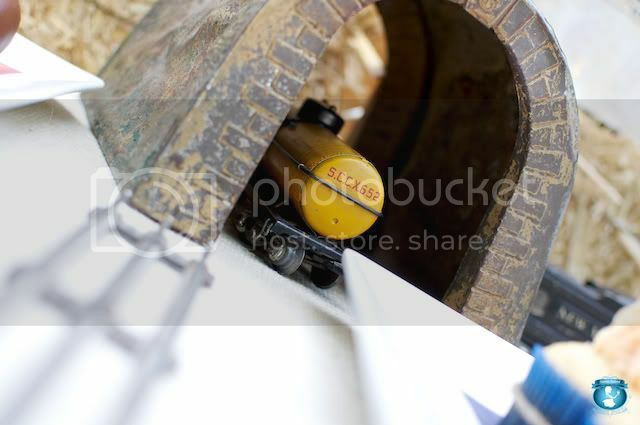 i had a train-themed bday party for my son last may - BUT this just blew me away! amazing details! That is SO cute! I love it all! 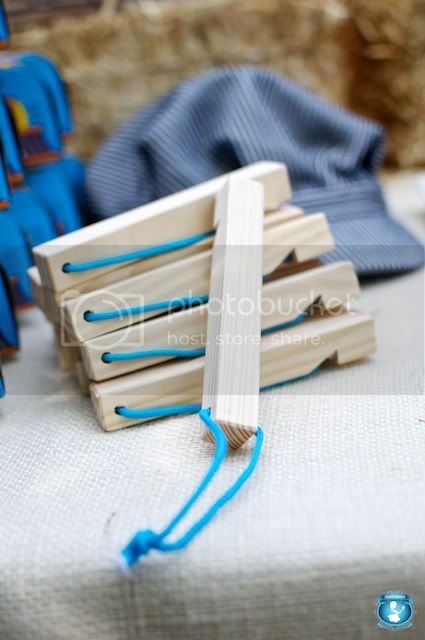 Great photography, too! whoa! 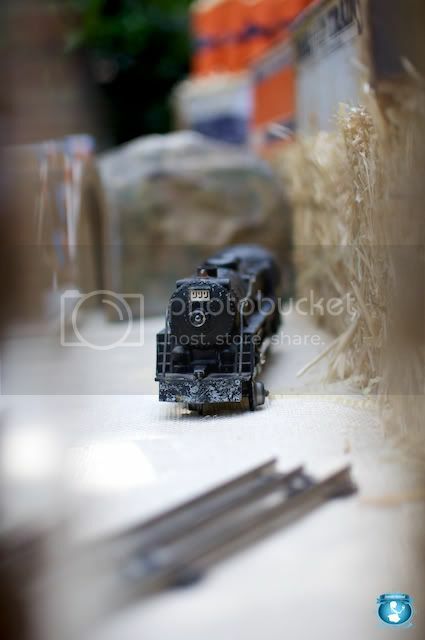 i like the idea of having this chuchu train as a birthday theme.. even my daughter loves train. nice idea! really like it!